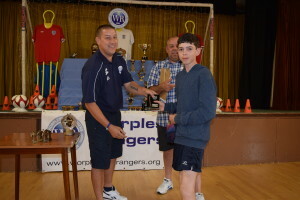 Worplesdon Rangers Football Club » Trophy Day 2016 – a Date for Your Diary! Trophy Day 2016 – a Date for Your Diary! The Club’s annual Trophy Day event has been booked for Sunday 5th June 2016 at Fairlands Hall. We will also be using the opportunity to celebrate the Club’s 15th birthday that day and as a result will have a few surprises laid on during what we will hope will be an all-day event, indoors and outside. For now, please just note the date in your diary, further details to follow! Eagle Radio Adds to the ‘Thugs and Idiots’ Debate….